This was a week long trip to aid in the recovery of the severe weather that hit South Carolina last fall with more than 20" of rain followed by strong, straight-line winds. We repaired a number of mobile home roofs as well as some internal damage caused by those leaking roofs, repaired the laundry room exterior wall of a house rotted and termite infested due to water running into the house and developed a diversion system to keep future high water from entering the house. 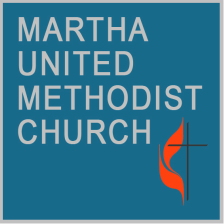 Part of the 23 person team also spent several days repairing numerous water related and some maintenance neglect issues at a United Methodist Church.